Following on from a previous post on a clever advertisement from a payday lender in Nizhny Novgorod, this advert from ТФБ-Займъ (TFB-Zaim) has another oddball list of reasons to borrow money at exorbitant interest rates. I can understand car repairs, new tires and possibly painting the house. But furniture and gifts are on shakier ground – let alone teeth whitening! 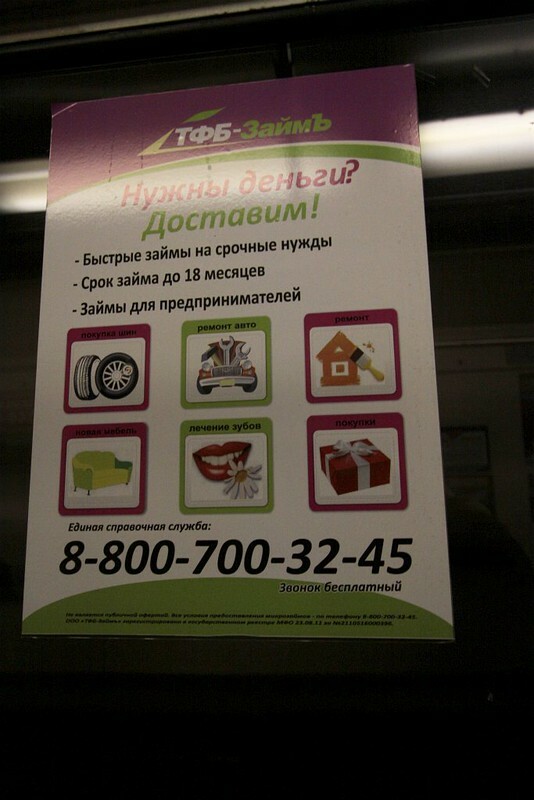 This entry was posted in Everyday life and tagged advertising, finance, payday lender, Russia. Bookmark the permalink.